Founded in 2005, Platinum Trini Entertainment started with one artist, Young Scrap. It all began with plenty of sweat and tears with ups and downs for founder, ABM and Tara. Today, PTE represents a whole arsenal of Pop, Soul, R&B, Hip Hop, and Reggae Dancehall music with artists including Toya, Menace, Laprice, Candi, Jay Plot, and ABM himself. Like many major record labels, Platinum Trini Entertainment focuses on the distribution and promotion part of marketing emerging artists by submitting for radio play and by hosting national and international live performances. 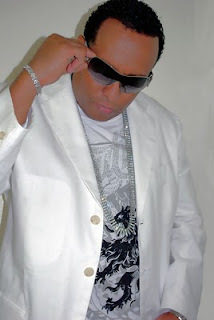 The success of Platinum Trini Entertainment started with ABM himself. He is not only one of the founders, but he is also a performer and brings a fresh spin of reggae dancehall. Much of ABM's musicial influence came from his homeland Trinidad in the West Indies where reggae and dancehall is apart of daily life. So, tell me a little about what you do. 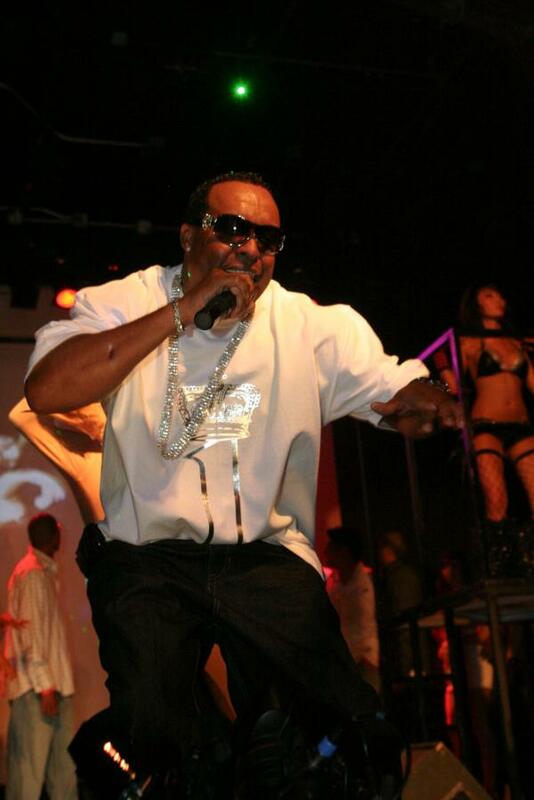 I am the CEO/Owner/Artist of Platinum Trini Entertainment. I write, sing, rap, produce etc.. in other words i wear many hats! What does name ABM stand for? I can't divulge the answer to that question just yet, because the answer to that question will be on the sleeve of my new album release. Just another insentive for my fans to go purchase the album. Which came first, ABM the performer or ABM the CEO of Platinum Trini Entertainment? Abm the performer came first. What motivated you decide to start your own label? I got tired of all the political (*! !#$) with the majors, along with who knows who, and not about the talent. In today’s market, it is much easier for the average person to become a singer and musician and produce their own album than it was 20 years ago. Since you work in this industry as an independently operated label, is it a good thing that the music industry is so saturated with indie artists or do you find it more difficult to compete with other talented artists? Correction! "In todays market, it is much easier for the average person to attempt becoming a singer" because of easy access to studios, equiptment, etc. that's why the industry has become a joke, and the real artist are over looked because Betty, or Roy has a look, and is marketable. I'm by no means hating, but this makes it very hard for the really talented people who spend years perfecting their craft never to get a real shot until they get to be as old as Susan Boyle. It’s obvious the major record labels still control the airwaves, especially in the U.S. Do you think there will ever be a shift in that market where the radio will become so wide open that we’ll hear all sorts of indie artists instead of being forced to hear what we are told who we should listen to? The market has already begun to open up because of internet radio! you call the shots, and program your own music. All we need now is for the FCC to recognize internet radio as they do regular FM stations, but then who knows, once those greedy bastards step in we might be right back to square one! In a perfect world, how would you like to see the future of radio? Play the hot records that people wants to hear, and not the crap they're being paid to play! (Payola is alive, and doing well). What artists do you represent? Tell me a little about them. I try to represent each of my artist in any way I can. It's a team effort. Maybe that's why I'm about to be a 100 and just getting my career off the ground! Ha-ha! ...No, but seriously I would be more than happy to have someone step in who is really serious and is not looking for up front money and believes in the artist to help take them to the next level. I can only do so much, and this is the understanding we had before they even inked with my label. I guess that's just wishfull thinking because that days of helping your brother man are gone!! Who was the first artist that you promoted? The first artist i promoted was "Young Scrap" his debut single "Melody" should've done much better, but i did not get the support from Ingrooves/Universal to make the record a hit! i spent my own money, but could only do so much. The launch of your own personal album drops to the public this summer, where can readers get a copy of your new CD or EP or even get to experience your CD release party? I pushed back the release of my album to next year because it's such a good record that i would like to have the proper budget in place which I don't have at this point in time to make it a success! You recently did a tour in the West Indies and Europe to promote your new album. What countries did you go to and how did it go? I did a mini tour of the West Indies, but things fell apart for Europe. You guest it, lack of funds. Is this your first full length album? Yes it is! That's why I want it to be done right. Music has been apart of most of your adult life, so why such a late? What got in the way of pursuing your passion? Nothing really got in the way of pursuing my passion, it's just that I kept putting others first who really didn't deserve it in the long run. I helped others get deals just to stand by, and watch them blow it! I often say to myself now, "Man if i could ony get one of those opportunities, I'd be rich in 2 years, and be back home on my island of Trinidad in a hamock between 2 coconut trees smoking a fat blunt, and sipping on some rum". Growing up, who were your music influences? A claypso singer by the name of "The Mighty Sparrow"
So, what lies ahead for ABM? What can we expect from you and your label within the next year? Well to be honest, I'm hoping someone sees my vision, and decides to invest, and or sponsor my label so my artist can get the proper exposure they so deserve, and their music can be heard worldwide! the only ingredient left for this dish is proper budget for marketing, and promotion! the rest will be history. Presenting Platinum Trini Entertainment Showcase on The Great Unknowns Presents!